The BearKat® BK2 is strategically designed for people with smaller facial profiles. It's super well thought-out construction combines the best in safety, comfort, and affordability! 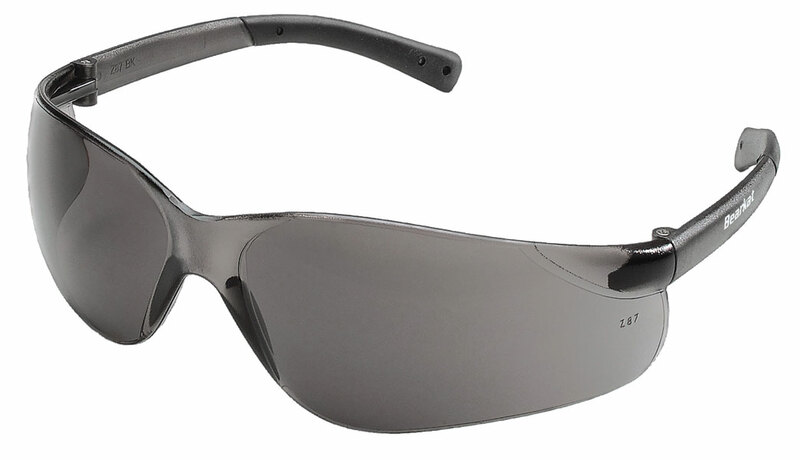 Your vision is unobstructed by the one-piece wraparound lens, which by its tight fit allows you maximum safety. Comfort is enhanced by the flexible temples and the non-slip temple sleeves are notched for a clip-on breakaway cord!